Crypto currencies, based on blockchain technology, can negatively affect diamond trading by hiding the history of the diamond and money sources. In a world of banking regulations, one must go through a KYC/KYB process and be transparent about the money sources to perform a diamond trade. Crypto currency does exactly the opposite; it hides the diamond origin and where the money came from. Blockchain can also contribute to improve the transparency and the authenticity of the diamonds. Traders can use it to validate the origin of every diamond, seal the source of payments and protect the supply chain from illegitimate trading. Blockchain technology can clarify that each stone complies with all regulations and comes from a reliable and ethical source. A blockchain is a regularly updated digitized distributed database (ledger). This means when someone requests a transaction, it is broadcasted to a P2P network, visible to all, instead of a centralized processor. This network is made up of nodes that use specialized algorithms to validate the legitimacy of the transactions. Once the transaction is verified, it becomes a block of data for the ledger, complete with a time stamp and a link to previously created blocks. This new block is added to the existing blockchain. There is no single point of control and no single point of failure. If someone were to attempt to “edit” prior blocks, errors would immediately pop up in later-created linked blocks, making blockchain technology transparent, permanent, virtually unalterable and incorruptible. Blockchains were originally developed as an accounting method for the exchange of crypto currencies like Bitcoin. But crypto currency cannot easily be legally redeemed for other currencies or commodities. And honestly, it is simply too risky to use in high-value industries like diamond trading. The chance of the regulators approving its use is slim. This is because crypto currency can fluctuate, instantaneously, causing immense losses to diamond traders already affected by low profit margins. What the diamond industry needs at this moment is a real money solution. One that is compliant with all anti-money laundering regulations, the Kimberley Process and global banking compliance and regulations. One that can trace the diamond’s lifespan and prove its legitimacy and authenticity. One that gives diamond traders access to real money in exchange for their precious stones - in a realistic time frame. Currently, the diamond industry uses blockchain technology, to track the lifespan of a diamond, all the way from the mine to the lady’s ring in the jeweler’s shop. By expanding its use globally, blockchain can resolve these critical pain points. With blockchain, every transaction undergoes a clearance process. For a diamond to be exchanged, the trader must comply with all relevant trading, banking and anti-money laundering protocols, as well as the Kimberley Process. When all data concerning the diamond’s lifespan is entered into a blockchain, the clearance process becomes 100% transparent and reliable to all nodes. There is no single point from which a diamond trader can attempt to change the signed lifespan of the stone. But even if he did, all subsequent blocks would be disrupted, a red flag for regulators and traders. This knowledge is powerful enough to deter hackers from trying to compromise the data. Utilizing blockchains to secure real money transfers in high-value transactions benefits all parties involved. When banks and regulators are provided a complete history of the diamond’s lifespan, including the stone’s worth, legitimacy of the trading parties, as well as comprehensive information about the source of the funds used to purchase the diamond, the banks can see that the processing deal is on the straight and narrow. They can then expedite the money release process, so traders can get a hold of their hard-earned funds, much faster. Today, diamonds are traded around the world, which can cause lack of transparency between traders, regulators, banks and retailers. At Mazalit, we are embracing the challenge head-on. We are big supporters of fair diamond trade movements like the Kimberley Process; we want to ensure that every diamond trade is as transparent as possible. 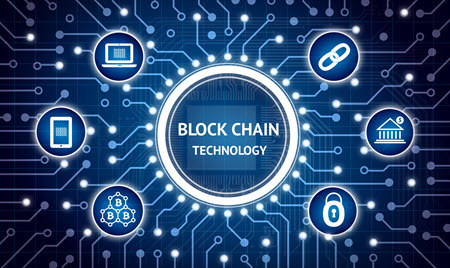 We use blockchain technology to provide diamond traders, regulators and banks with the tools necessary for discerning and completing seamless diamond deals by providing all the information required by banks and regulators to approve such a trade. The distributed database design ensures that all parties involved know how much money is being exchanged and guarantees that good deals result in tangible profits, every time. Mazalit solution brings the paperless trade to the industry. Our solution will save money, improve transparency and legitimacy, reduce risk and provide faster service to the diamond and jewelry industry. 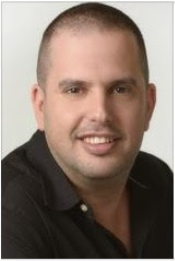 Ben Yaniv Chechik has much experience with the world of FinTech. As the CTO of international payment solution Payoneer and former VP Product of FinTech startup Zooz, among other positions, Mr. Chechik brings unique knowledge and perspective to the table when it comes to technology, product, R&D & operations management, along with startup strategy success.